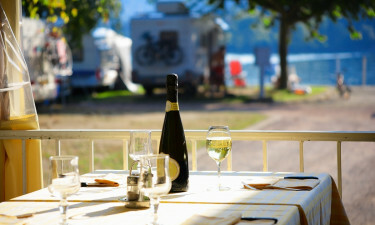 For the most relaxing luxury camping holiday, make sure to visit the beautiful LuxCamp site of Solcio. Located right on the sandy beach shore of Lake Maggiore, it's the perfect spot to unwind and take in the calm waters. Things get a little livelier in the evenings, with a range of entertainment on offer for the whole family. Plus, this site has a range of facilities to make your trip as stress-free as possible. 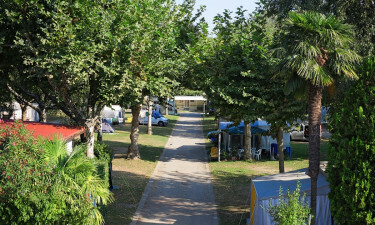 This lovely campsite offers peace and quiet, away from the hustle and bustle of daily life. A premium luxury camping site, stay in a tranquil mobile home among the trees and breathe in the fresh mountain air. There are a couple of small towns and even a zoo nearby to enjoy, too. Take a stroll down to the lakeside to take advantage of the many activities found there, from fishing to beach volleyball. It has direct access and free sun loungers. Children will never get bored at Solcio, thanks to a kids club and a kids disco. There's extra evening entertainment for all the family, too.